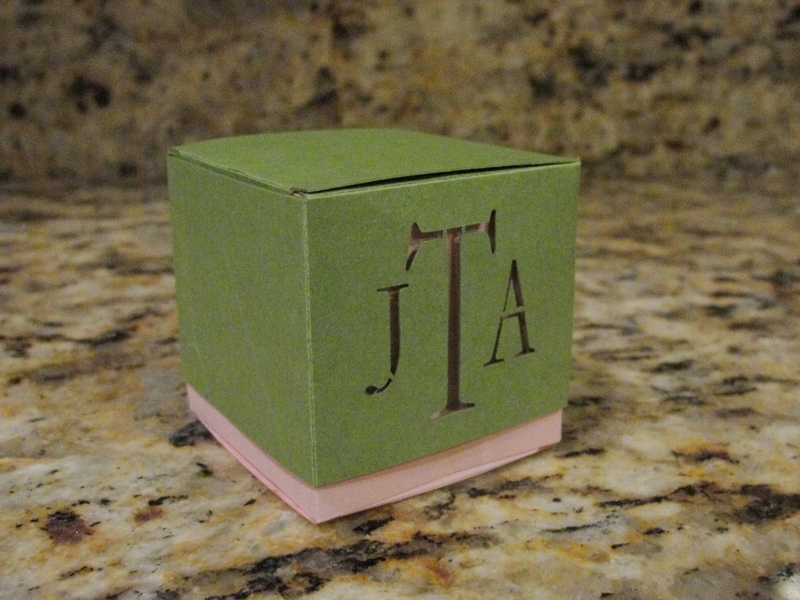 Laser Cut Two Piece Favor Boxes are customized with letters or design of your choice on either side. 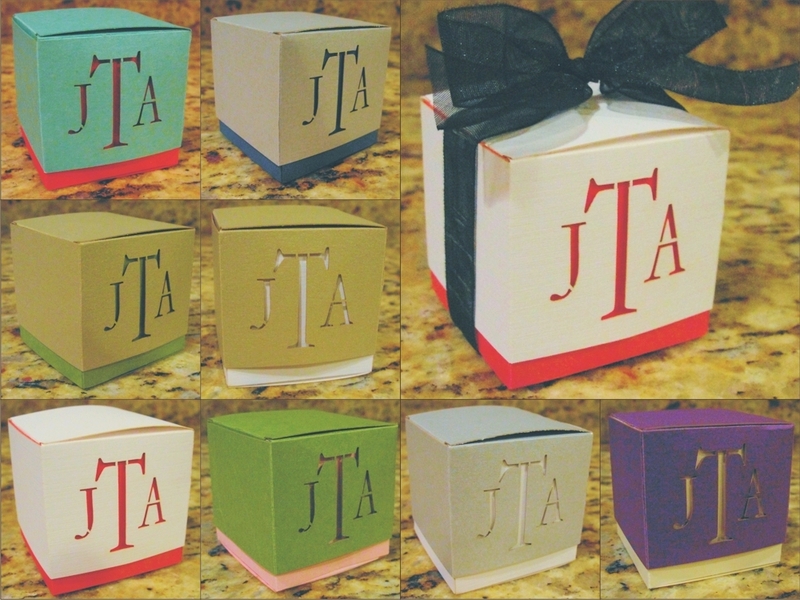 Pick your favorite color for the top and the bottom to make 2 tone. 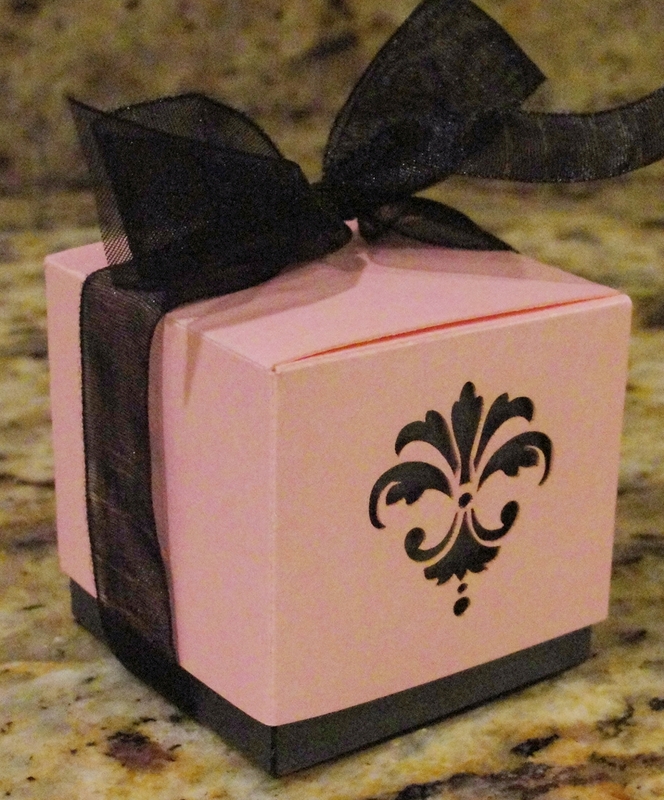 Use for candies or favors at Weddings, Bridal and Baby Showers even Birthdays Parties. 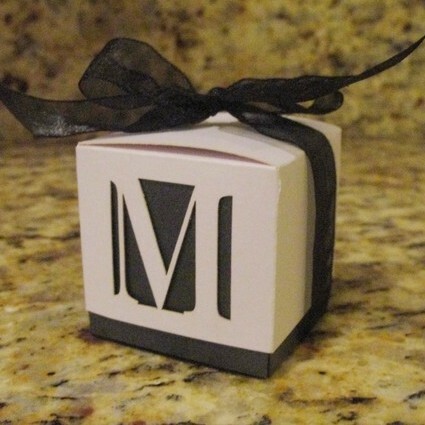 Laser Cut Two Piece Favor Boxes 2 1/4 Inch square are customized with letters or design of your choice on either side. 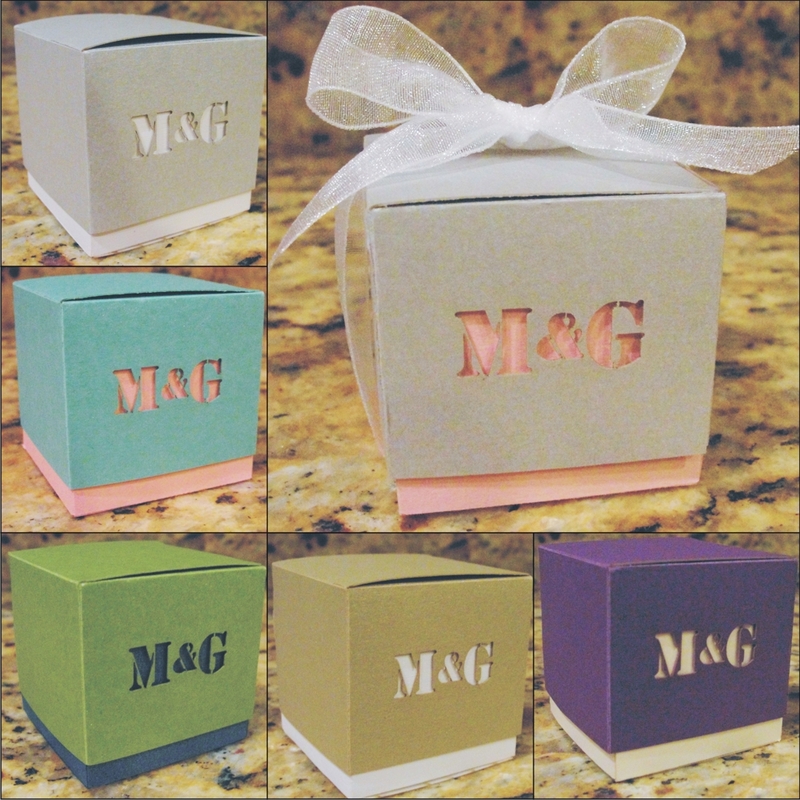 Pick your favorite color for the top and the bottom to make 2 tone.&nbsp; Use for candies or favors at Weddings, Bridal and Baby Showers even Birthdays Parties. 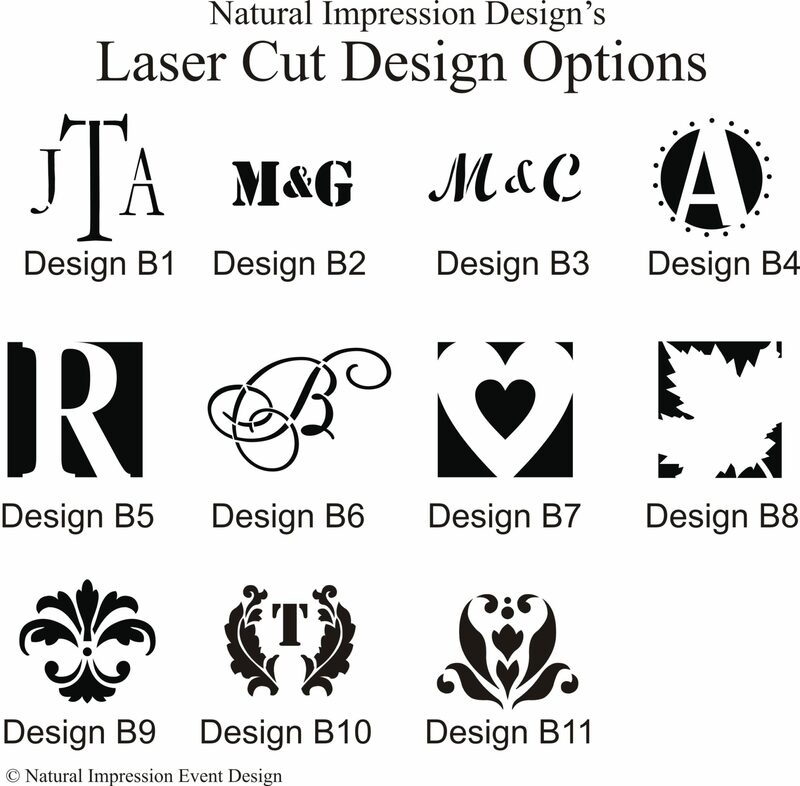 Select from colors and the design of choice.